Parents and representatives from the Port Byron Central School District asked the village board to renew the school resource officer’s contract during a regular meeting Monday. Port Byron’s meeting room was filled with people who wanted to speak during the public-to-be-heard portion. The support for the SRO comes after the district announced that its attempts to engage the village to make updates to its SRO contract were ignored. 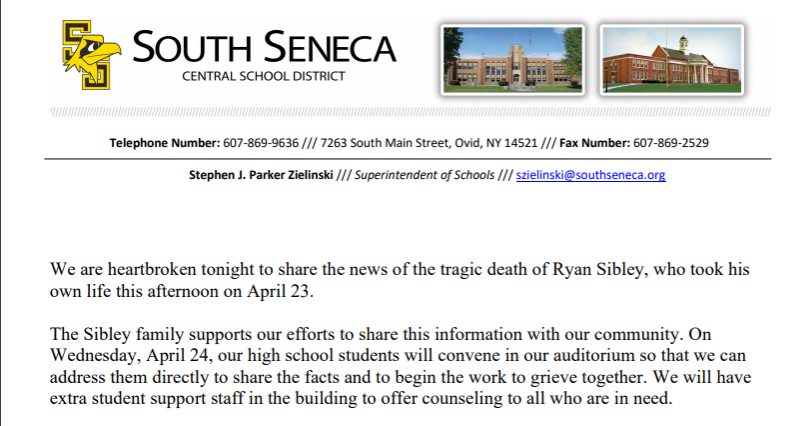 The school district currently pays school resource officer Frank Ryan directly. The Cayuga County Civil Service Commission has since asked the district and the village to change the current arrangement, which is set to expire June 30, so that the village pays the officer. The commission reported to village Mayor Ron Wilson that the school never reported having an SRO, which meant the district wasn’t complying with civil service rules. Wilson said that he doesn’t like the idea of the village having the liability of supporting a cop that the district, not the village, is in charge of. He noted other school districts in the county, such as Cato-Meridian and Moravia, have instead opted to have a school security officer which can be employed by the district directly and leave the village out of the equation.